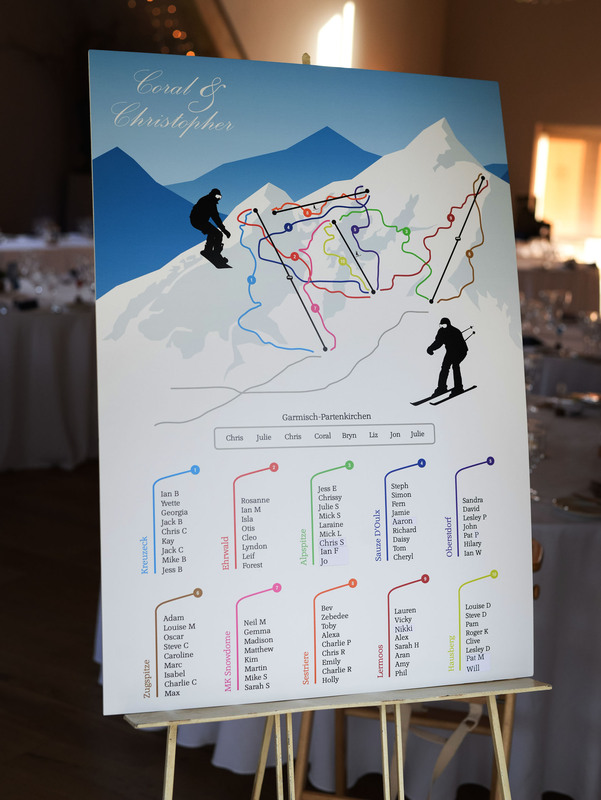 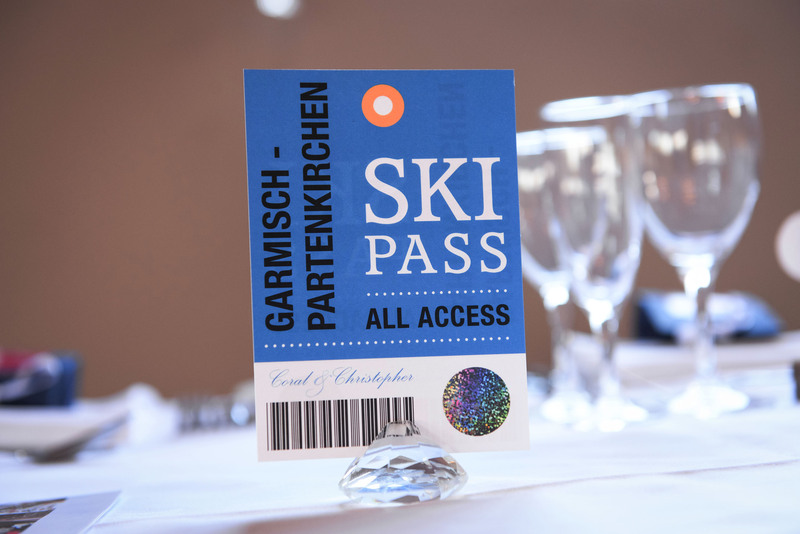 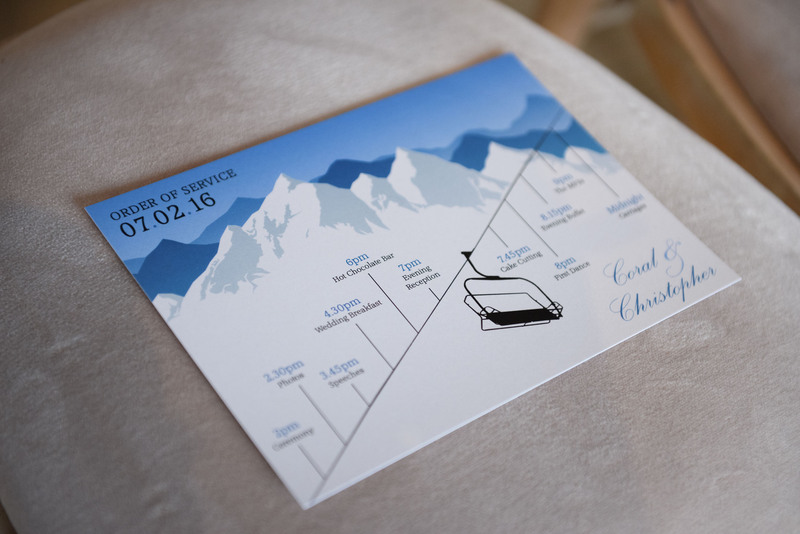 Wedding stationery designed with a skiing and snowboarding theme. 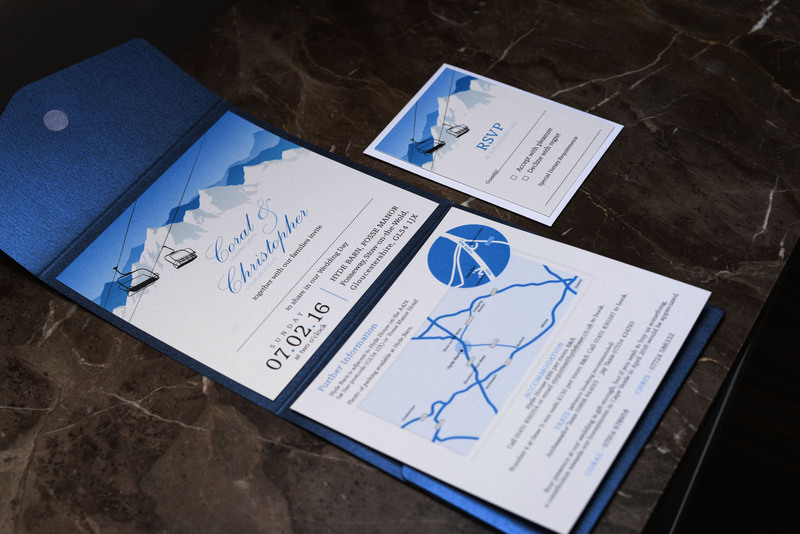 We developed a design for the main invitation including drawing a location map to match. 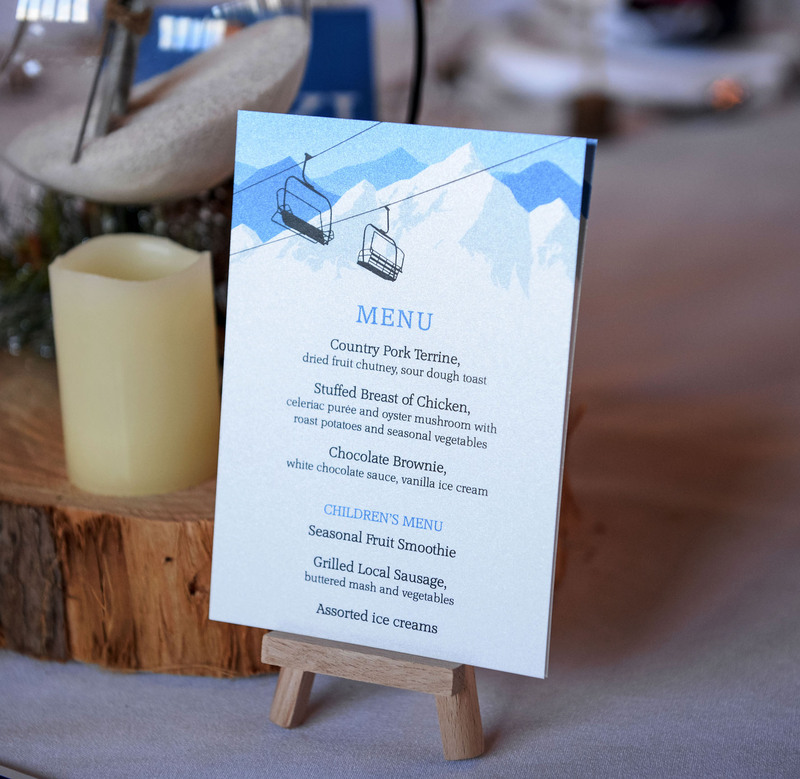 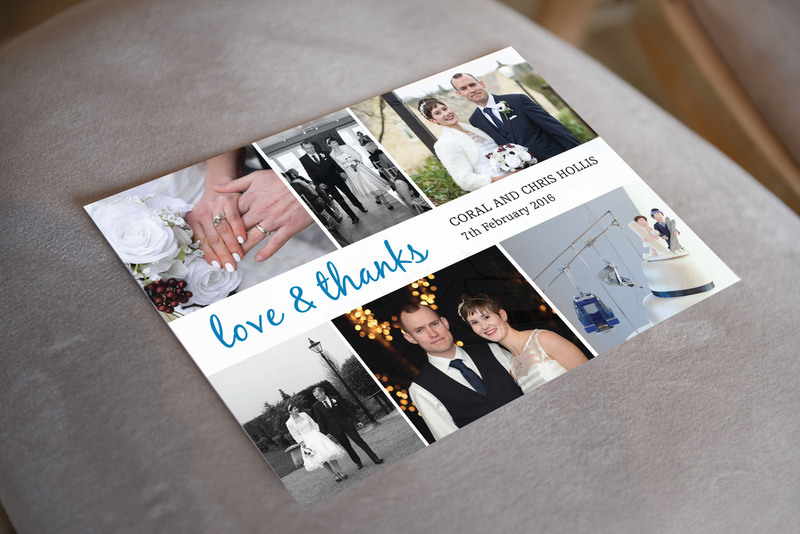 The style was then continued through the Order of Service, Table names, Menus, Table Plan and Thank you cards. 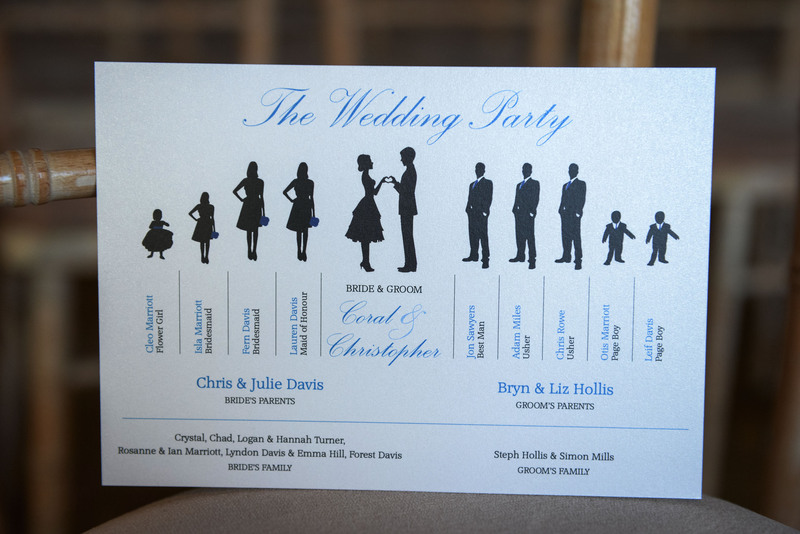 We printed the items on an iridescent pearl card stock.